Hisense acquires Toshiba TV business | What Hi-Fi? The Chinese electronics brand has announced the purchase of Toshiba TV's production, brand, R&D and operation services. Hisense has acquired 95% stock shares of Toshiba Visual Solutions Corporation (‘TVS’) for 12.9 billion Japanese Yen (over £86m), with Toshiba retaining 5% stock holding. Hisense will obtain research and development, production, and sales functions as well as the license to use the Toshiba brand for a period of 40 years for its visual solution partners operating in Europe, South East Asia and other markets. The TVS purchase also includes two factories in Japan, as well as Toshiba R&D employees plus a portfolio of TV technology business patents for image quality and acoustics. 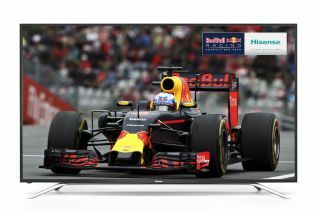 Hisense has been making a loud noise in the TV market for the past 18 months, with its big-screen budget 4K TVs and 100in Laser TV system causing stirs in the market. It's also been named the official TV sponsor of the FIFA World Cup Russia 2018. As for Toshiba, the venerable TV brand has had a rough time of late, posting a £3.8bn loss earlier this year. It has only recently returned to the European market under the aegis of Turkish leviathian Vestel, so the news comes as rather unexpected. We asked Vestel for further comment and a spokesperson has confirmed that "the sale of Toshiba’s TV business will not affect the brand licensing agreement that it has in place for Toshiba TV production and sales across Europe. Vestel remains committed to this pan-European brand licensing business and looks forward to maintaining and building on its success over the course of the coming years." What this means for the Toshiba label is unclear, but what we can be sure of is more (probably 4K HDR) TVs! Hisense has stated this cooperation "will drive changes to the new picture of TV business".